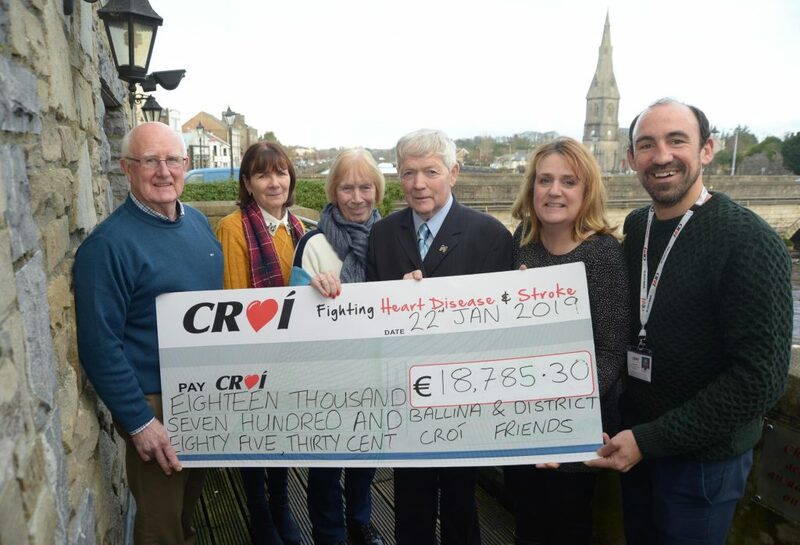 Croí is an independently funded charity and our fight against heart disease and stroke is almost entirely supported by fundraising events and public donations. There are five Croí Friends Groups in the West of Ireland – Achill, Annaghdown, Ballina, Donegal and Westport. 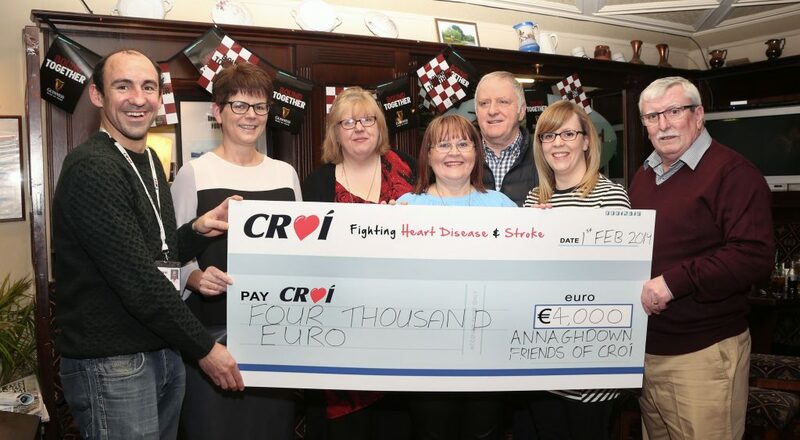 The groups are made up of volunteers who like to help Croí by fundraising with all sorts of fun activities and events run in their communities. This fundraising is vital for us and helps to ensure we can continue to provide services which help us fight against heart disease and stroke. You can join our friends groups by getting in contact with Luigi by email at luigi@croi.ie . Whether you’re looking to volunteer, take on a challenge or make a regular donation – there are many ways you can get involved and make a difference. We would love to hear from you! 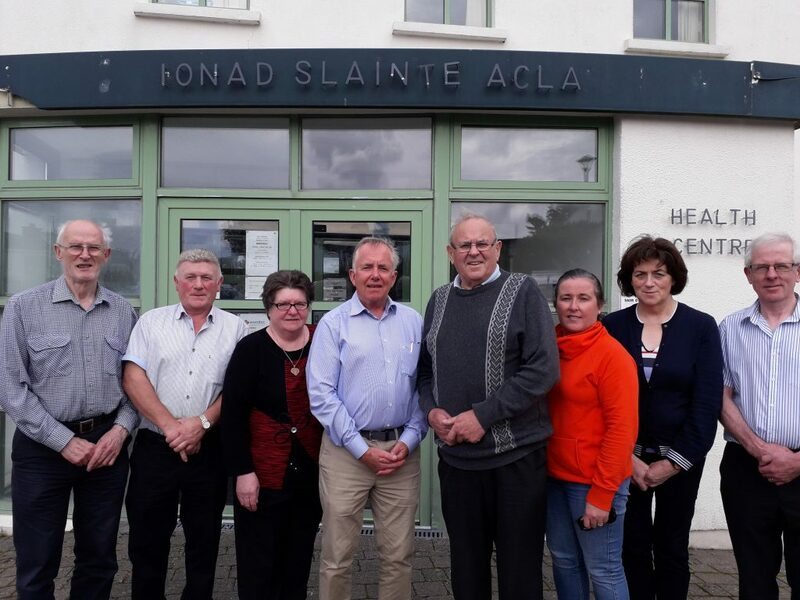 It was back in 1991 when a visit and a talk from Croí Chief Executive Neil Johnson and Galway-based consultant cardiologist Professor Kieran Daly sparked the move to create the Achill Friends Group. John McGinty and a small gang kicked off their fundraising on Pancake Tuesday with a whist drive back in the day. The whist game became an annual affair and they added an annual walk and other activities to help stir up interest in Croí from the local area. 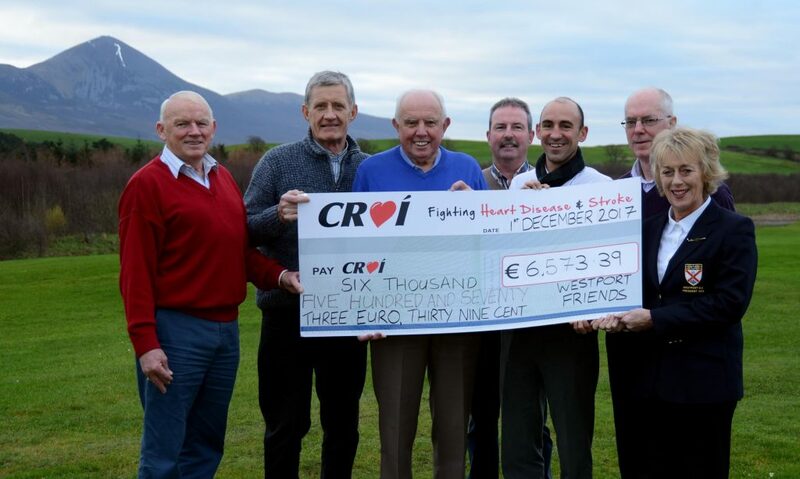 The group have continued to raise vital funds for Croí since then. John said the visit sparked an interest in Croí and he was determined to raise awareness. “It’s nice to help support a health charity. We are remote enough out here and we’ve been a benefit to Croí and they have been a benefit to us too – we’ve received medical equipment which benefits the Achill community and surrounding areas”. John says the people in the group are an important part of the success and it is getting harder to fundraise “We do need more people to volunteer, it can be hard to get people involved. We’ve had a steady gang here helping for over 20 years and we hope to continue to help Croí for as long as we can”. When Peter Flaherty had a bypass, he attended a Croí information meeting where at the end they requested some help with fundraising – he signed up and the rest, as they say, is history! The Croí building in Galway city has an Annaghdown Room named after the group and Peter says it’s nice to see the sign whenever he visits. “It does get harder every year to raise the money. Back in the day, there were no other 5km walks when we first started and now they are everywhere but we try and get sponsorship and raise funds – it’s a lot harder than it used to be”. Nevertheless, the group manages to raise at least €6,000 a year for Croí. “We meet regularly and plan what needs doing and then off we go and do it. It’s great to do something good for charity”. It was a stent that started Thomas Cronin’s relationship with Croí and kick started his involvement in fundraising – he was chairman of the Ballina Friends Group for 12 years and has only recently handed over the baton to Seamus Smyth. Thomas acknowledges that fundraising can be very difficult at times. “We do need more people volunteering really. You need a lot of help when you’re planning to do a bag pack and it’s hard to get people to commit to more than a few hours these days. That can be tricky”. 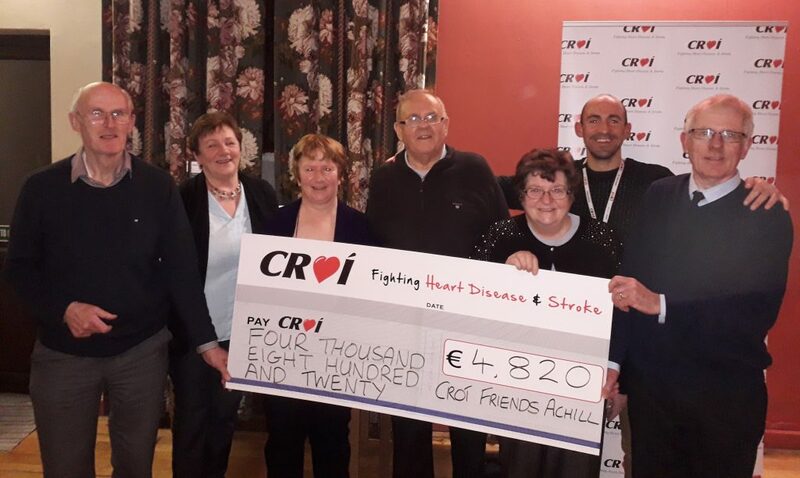 There’s a steady team in Ballina, he says and with a chairman, treasurer, secretary and committee members, the group manages to raise €20,000-30,0000 a year to help support Croí’s activities. There’s not a lot they haven’t tried, he says. ‘We have done the whole lot really. As well as bag packing, church collections, selling Christmas cards as well as special functions and dinner dances – we have worked hard to help keep Croí in mind for people here in Ballina. It’s a fantastic service”. When James Cushnan got diagnosed with diabetes, he was refereed to Croí’s Clann programme which opened his eyes to the work Croí does. The programme, a 10 week, healthy lifestyle initiative aims to help people get to a healthy weight with healthy eating and exercise and James had to travel down from Donegal every week to take part. “You know sometimes you would be in bad form and not wanting to travel but when you got here, the support from Croí was so amazing, it made you want to keep going”. 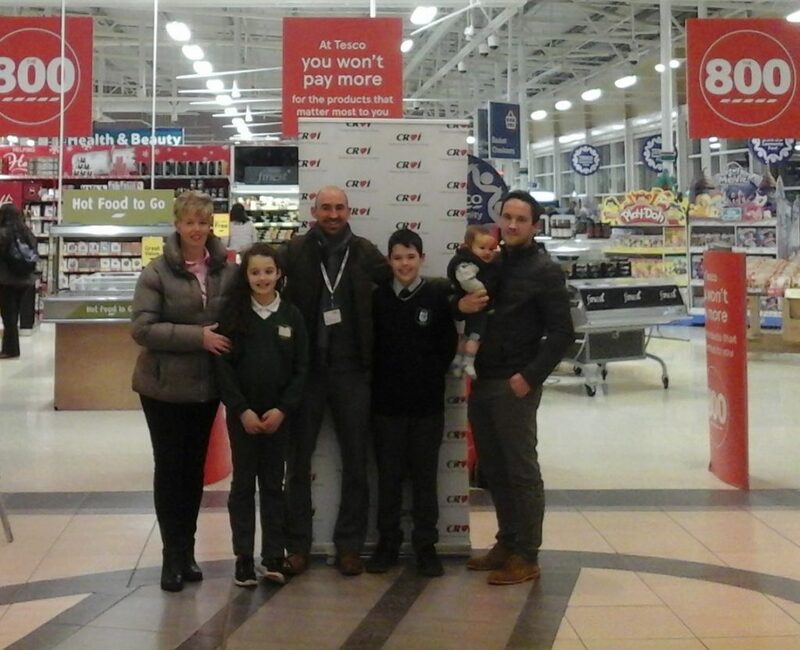 Now James and his wife Donna are forging ahead with Rory Grant, who looks after the counter boxes in various outlets across the northern part of the county, to help raise money and awareness from Croí in the north west. “People forget how big Donegal is and when you’re ill and have to travel to Galway, it’s a down side. The Croí services are amazing and Donna and I want to help”. As well as the traditional fundraising activities like bag packing, the pair are working to launch an information day at Letterkenny Shopping Centre and plan to run an event in Letterkenny hospital too. ‘We want to help people understand that Croí is there for them. It’s a great resource and when you’re ill, it affects the whole family. To have that support there is wonderful and it keeps you going. You can be travelling from 3-5 hours from Donegal to Croí and it’s wonderful when you get there, the staff are so supportive, it’s nice to help them out now’. Joe Gibbons, who is chairman of the Croí Friends Westport Group, has been involved in helping charities all his life and believes the key to successful fundraising is visibility.